Google Analytics is becoming quite the Swiss Army Knife these days. It’s come a long way from the days when it was basically a GUI stapled to a log file. Now besides web data, they’re integrating marketing tools (remarketing) and user testing tools (content experiments). Websites are tools that accomplish tasks. Most of the time, for our purposes, this task is to generate a sale or a lead. And so the website is designed with this goal in mind. The main path that a user would take through the website to reach the goal is known as the critical path. This allows us to talk about how users flow through the website. You will want to identify these goals and events and to tag them as such in Analytics before proceeding further. Check the links for more on setting up goals and events. Once we understand the concept of goals and flows, and can identify them on our website, we can move into the next phase: identifying the hot and cold pages along the critical path. There are two metrics that are very useful in identifying the pages that work and those that don’t. We’ve talked about the bounce rate before. The bounce rate is when somebody goes to a page and then leaves without going further into the website. Most of the time, when this happens, the user feels they are in the wrong place, that you don’t have what they need, or don’t want what you have. In fewer cases, the person might have found what they are looking for (contact info, for example) or your site could only have one real page worth visiting. Each case will be somewhat different. The takeaway is to know that the bounce rate isn’t inherently a negative number. But it’s indicative of a page that’s creating confusion. 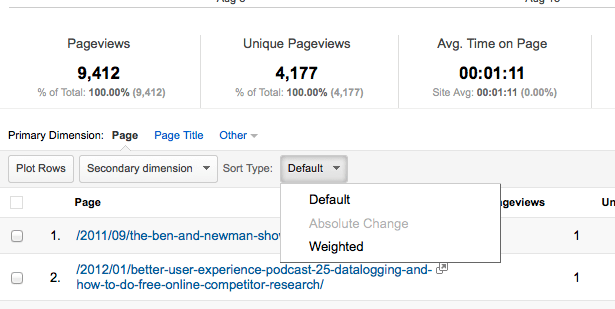 To put the bounce rate to use, here’s what you do. First things first: define your critical path, and any other paths through the website that leads to a goal. Now look at the bounce rate for each of those pages. Which page has the highest bounce rate? Look at that page and try to figure out why this is the case. Should people be one-and-done-ing your page or can you identify what the confusion seems to be? I look at the bounce rate in a critical path as a way of finding the kinks in my sales funnel. Each page with a high bounce rate (which will vary from industry to industry, but lets just say anything north of 20%) is a potential kink in your sales funnel. Fix the kink and you’ll improve how visitors flow through the site. Improve it enough and for sure, increased sales and leads will follow. Bonus: How to make your bounce rate work for you if you have a large group of product description pages or otherwise have a critical path that is long, spreads out at stages or encompasses a large website. It’s called Weighted Sort and it’s something of a hidden ninja skill buried in Google Analytics. What you do is sort your pages by bounce rate so that the pages with the highest bounce rate are listed first. Then you click the Sort Type button. It says “Default” to begin with. You need to change it to “Weighted”. BOOM. All of the sudden you have a list of the most important pages on your site that have the highest bounce rates. Feel free to check these against your Critical Path. Otherwise, these are the pages that are most holding your site back. See? I told you. NINJA. 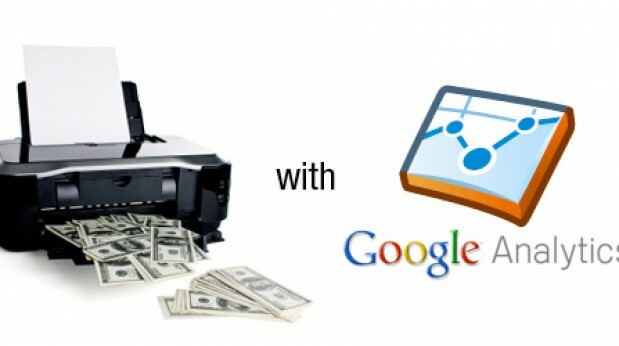 Page value was known in previous versions of Google Analytics as $index. This name change has confused some people who are upset that $index seems to be missing. The good news is, it’s not! This valuable stat continues to be alive and well in Google Analytics. This feels like the tricky bit. Page Value is meant to show you which pages have the most value in your critical path / flow. The pages with the highest Page Value are the pages that do the best job driving revenue. In a sense, it’s the opposite of the bounce rate. The bounce rate shows us where things are going wrong. Page Value shows you where things are going right. The transactional value is for ecommerce sites. If you make a $100 sale on a visit, then $100 would be the transactional value of that visit. If you’re lead based, as long as you assign a numerical value to your goal, when you get a lead, it will report as that value. The downside is that I Weighted Sort doesn’t work on Page Value. I don’t really understand why. Page Value used to be called $Index and Weighted Sort worked with that. But I wasn’t able to get it to work. The bummer here is that you can’t see which pages that get the most traffic are producing the most value. You can see this, kinda, by looking at page views, sorted by views then sorting by Page Value and looking for overlap. Additionally you can apply this to your critical path. You could also create an advanced filter to segment out, or only show, pages that have no Page Value. These pages are never involved in the revenue part of your business, so are ripe for review and optimization. Content Experiments is the place in Google Analytics where you can conduct and see results from A/B Testing. Those in the know know that Content Experiments in a previous life was known as the Google Website Optimizer. Once you’ve identified a page with a high bounce rate that you’d like to improve, it’s time to move into testing. Identify the item on the page that you’d like to change. This could be the layout, the headline, the body text, images – you name it. Just stick to one change at a time. Then create up to five versions that you’d like to test against your original. Yes, I mean that you need to create new pages on your website. Once you’re done with that, it’s time to head over to the Content Experiments section of Google Analytics. The first part of Content Experiments is a wizard which guides you through the process of setting up your variations. This basically means you have to tell Analytics what the other pages are named. They will take care of swapping out the pages. Once your variations are setup, it’s just a matter of letting them run and seeing which page returns better results. Once you’re satisfied with your results, you can stop that test and run another. Or, run several tests (across different pages) at once! It’s one easy way to bring user-testing into Analytics. It’s easy to see Google Analytics as nothing more than a glorified data spewer. However, there are tools and metrics buried within the reports that can help us figure out why our websites are sucking wind and then can test variations for improvement. The Iteration Cycle: Gather data. Analyze. Identify opportunity. Iterate. Repeat. Now, Google Analytics can be used every step of the way.